Operating at only 21 pages per minute, the Canon Copier ImageClass MF5750 is not the fastest monochrome laser device on the market, but it is very well equipped for its size, and offers decent print quality and better than usual fax resolution at a reasonable price. At 21 pages per minute, this printer is about a third slower than many of the 30 ppm multifunctional devices we see on the market today. Still, it is suited to serve home businesses and personal users just fine, as long as extremely high print volume isn't required. The scanning functions of the unit are slightly above average for a unit in this category and operate using a Color CCD (Charged Coupled Device) that can execute a high resolution 1200 x 2400 dot per inch optical scan, as well as a 9600 x 9600 dot per inch interpolated scan for super high res photography scanning. The color depth is also very good with 48 bits internal and 24 bits of output. One of the very outstanding features of the unit is its fax resolution, which is selectable up to 406 x 391 dots per inch. This is ultra high res for faxes and is not available with all fax machines or MFCs. The automatic document feeder is also beefed up and can cold up to 50 sheets at one time. With a 50 sheet automatic document feeder, users will never be burdened with loading huge amounts of scannable material single sheets at a time, and large fax and copy projects will be mostly automated, saving valuable time. The units dimensions are surprisingly large at 19.1"(W) x 18.8"(D) x 20.0"(H) with attachments and 19.1"(W) x 18.8"(D) x 17.4"(H) without attachments. 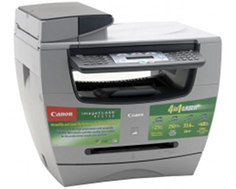 The Canon Copier ImageClass MF5750's weight of 31.3 pounds, however, is not bad for a device that includes fax functions. The copy resolution of the Canon Copier ImageClass MF5750 is simply not acceptable, if for no other reason than that the device is perfectly capable of printing and scanning at 1200 x 600 dots per inch. With a lack of internal memory, copy resolution tops out at only 600 x 600 dots per inch, which is very disappointing for a unit of this device's stature. This is a common problem in many of the MFCs in Canon's Copier ImageClass MF series. 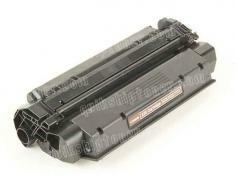 Also very disappointing is the Canon Copier ImageClass MF5750's very limited paper weight compatibility. With only 17 to 34 lb weight loadable into the unit's paper tray, the device is not compatible with card stock and transparencies like many of its counterparts that come equipped with a sizable multifunctional tray for special media types. Review it: "Canon imageCLASS MF5750 "
Canon's system involving their toner relies on combining a toner cartridge and drum unit together. This makes toner swaps much easier, but also makes each cartridge more expensive. 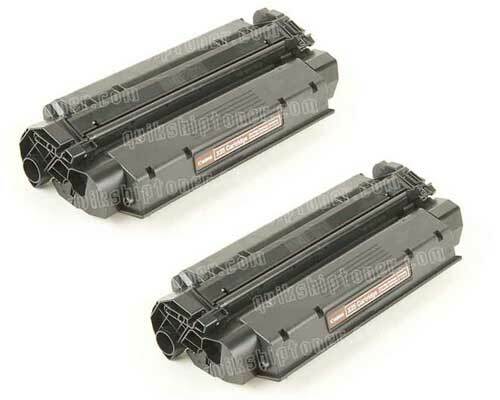 It also means that high yield toner cartridges are often not available, and the Canon Copier ImageClass MF5750's cartridge carries a very limited 2,500 page yield at 5% coverage.